We’re excited to announce our new app for the Apple Watch. The new app helps Wattpad writers visually understand how their readers are reacting to their work anytime, anywhere. Apple Watch owners who love to write on Wattpad have a new way to connect and view their fan engagement, checking story momentum as easily as they’d check the time. The Wattpad team created this app for on-the-go writers who love keeping tabs on their latest stats. For writers, votes and read counts serve as a way to understand a story’s momentum, and seeing a spike in votes and reads often encourages them to keep writing. The Wattpad app for Apple Watch gives writers real-time story analytics including total cumulative read and vote counts, as well as percent increases between app checks so they can keep track of readers’ reactions to their stories. After downloading the app users can set their Wattpad profile or any of their uploaded stories to the Apple Watch glance view. At-a-glance, Wattpadders will be able to view both total and percentage increases in reads and votes for any of their uploaded stories. By setting the glance view to profile, user will be able see updates on their follower counts. 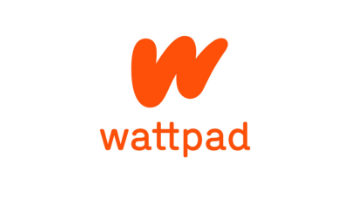 The Wattpad Apple Watch app is available to iOS users with the Wattpad app installed on their mobile device. To download the Wattpad app, visit the iTunes store.